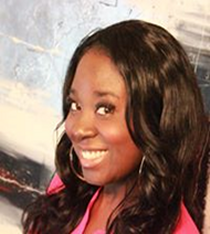 Born in Lusaka, Zambia, Mwati has traveled and lived in many countries during her life. Living in Australia and New Zealand during her younger years before finally settling in Seattle, Washington in 1997. She assimilated the cultures in Australia and New Zealand very well. She often had to overcome racism and adversity, and in turn had to figure out a way to fit in by blending in. After moving to the US in 1997 Mwati fell in love with the diversity and culture that existed. 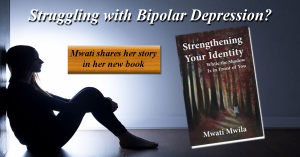 But about 10 years later Mwati would be faced with another obstacle when she was diagnosed with bipolar disorder. This challenged her and her family as she tried everything and traveled to spiritual places to cope with the disorder. In the midst of this anguish and pain, Mwati found refuge in writing poetry as well as short and long stories. Mwati has written two books, a book of poetry, “The Sweet Surrender of Love and Nature”and her latest book, “Strengthening Your Identity While the Shadow Is in Front of You”. Mwati holds a BA in Communications from the University of Washington. She loves writing, and says it is her whisper song that helps her feel uplifted.